Every single product and idea goes through a process called a “Product Life Cycle”. 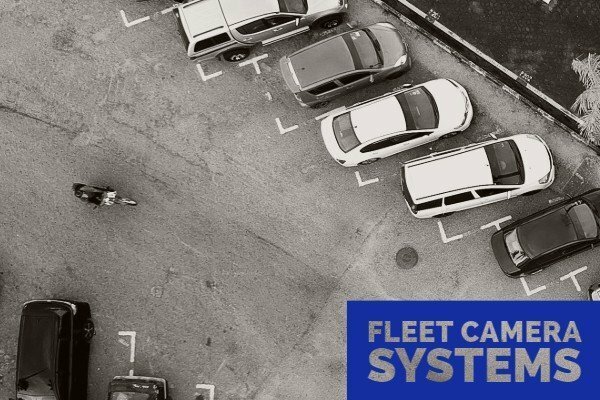 In the fleet management world, fleet camera systems are in the Growth stage. In other words, fleets are rapidly learning and starting fleet camera systems. However, cameras can confuse first time purchasers because of its rapid growth and development. As a result, the purchasing cycle is usually longer because of customer questions and requests. In this guide, we’ll walk through some of the most common customer requests. 1) Can you lower the price? Price is everything, right? Fleet camera systems cost more than average dashcams. Why? Just like any other product, there’s a difference between cheaper investments and larger investments. Some fleets purchase their first cameras from Amazon. Unfortunately, a lot of those cameras are personal-use cameras instead of business-use cameras. As a result, fleets experienced short product life and ineffective management when using personal cameras. On the other hand, fleet camera systems go hand-in-hand with businesses. They usually connect to a cloud server. As a result, businesses can view hundreds of cameras on a single portal. 2) Do fleet camera systems see in the night? Another great question is if cameras can see during the night. This is especially important in overnight delivery and trucking companies, where a lot of drivers work late night shifts. The quick answer is not every single camera can see in the night. Just like the human eye, some cameras struggle to see during the night. That being mentioned, some fleet camera systems have night vision options. For instance, some cameras have higher “lux ratings” or light visibility. As well, some camera software have Brightness, Saturation, and Contrast camera footage adjustors. 3) Can you install interior cameras? The most common camera installation is a forward facing and driver facing camera. However, some fleets ask for different kinds of cameras because of their work’s nature. For instance, a lot of bus and ambulance services ask for passenger cameras. These cameras monitor passengers and investigate complaints. Another example are moving companies. Movers usually request cargo camera for monitoring storage space. Fortunately, passenger and cargo cameras exist because of a technology called DVR boxes. DVR boxes are similar to an Internet modem. Just like how Internet modems connect several household devices, DVR boxes connect several vehicle cameras including interior cameras. 4) Can I monitor my vehicles in parking lots? Parking lot monitoring is a fair request. After all, if fleets are monitoring vehicles on the road, shouldn’t they also monitor parked vehicles? The answer should be yes. To illustrate, consider the above video. This incident happened in a gym’s parking lot. The guilty driver was not caught until they decided to return to the parking lot the following week! In response to similar incidents, some dashcams have a parking mode. When the car’s ignition is turned off, parking mode cameras draw power from the car’s battery. The only caveat is that we recommend using the camera’s parking mode for no more than 3 hours to prevent draining the vehicle’s battery. Fleet camera systems are complex. Let us help you by contacting a consultant. Smile, You’re On In-Vehicle Cameras! Stay up to date with the latest trends, solutions and new products. Try it out. You can unsubscribe at any time. At ZenduIT it is our goal to streamline processes for fleet and field service companies. Ultimately, we want to make your job easier. We have experience building scalable mobile and web software that reaches across different platforms and device types for a variety of industries. Our main objective is to work with you to make your ideas into a reality. Copyright 2019 ZenduIT - All Rights Reserved.